The youth of Wenchi in the Bono Region have expressed worry the age-long chieftaincy dispute in the area may resurface following the death of the Omanhene of the area, Nana Anye Amoapong Tabraku III, whose funeral is yet to be organised. As a result, a youth group under the umbrella of “Wenchi Youth for Development Association” has called on relevant chieftaincy and peace mediation bodies in the country to intervene and ensure the rightful person is enstooled as the Omanhene. 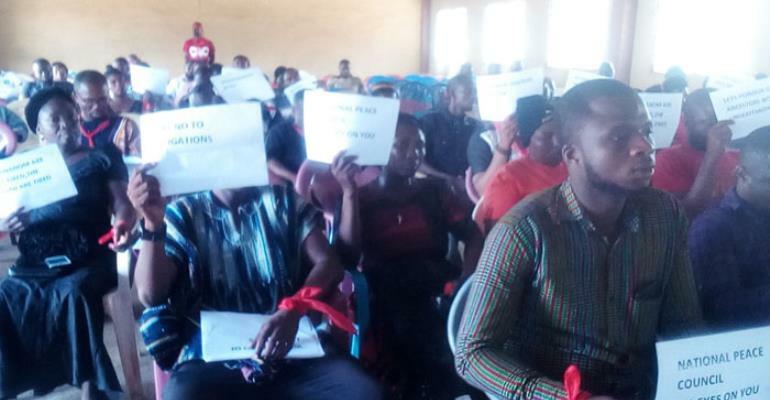 The youth have petitioned the National Peace Council, the National House of Chiefs, the Brong Ahafo Regional House of Chiefs, the Bono Regional Coordinating Council, the Wenchi Traditional Council, the Wenchi Mediation Team and the Wenchi Municipal Assembly to quickly ensure all royal families follow a roadmap drawn by the association to maintain peace and order in the area. At a press conference last Friday in Wenchi, Kennedy Owusu Poku, secretary to the association, blamed the protracted chieftaincy dispute on three royal gates as being responsible for underdevelopment of Wenchi areas. They pleaded with the Peace Council and the National House of Chiefs, in particular, to enjoin all the royal gates to sign in to a roadmap which they believe will engender lasting peace to the area if followed.